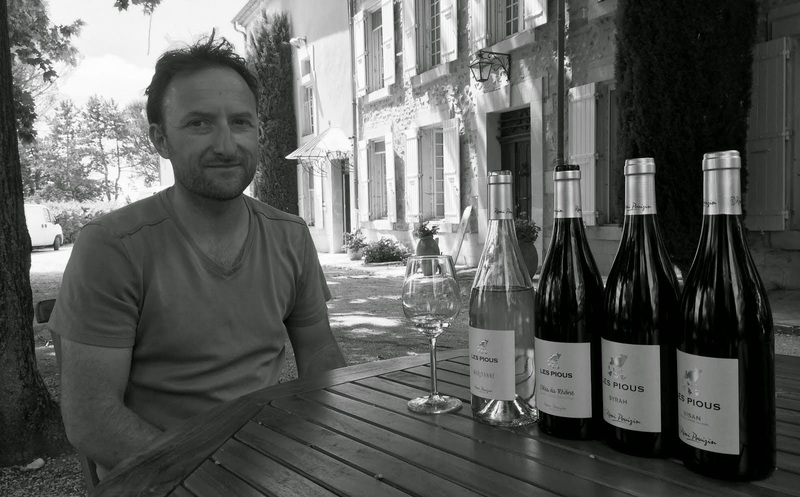 I’ve known of Rémi and his wines for a number of years, as I happened in a past life to sell the wines of Domaine La Fourmente, the Pouizin family domaine in Visan. Sadly, differences between Rémi and his father has seen him leave and set up on his own in the village. The arrangement going forward will be that Rémi will continue to manage the vineyards, applying the same biodynamic preparations as previously, but will now pay his father a commercial rate for the grapes. For those who may have been familiar with the wines of Domaine La Fourmente, there will now be a gradual switch to the name of the new operation – Domaine Dieulefit. In addition to the family owned vineyards, it also allows Rémi to buy in fruit from other sources, including grapes featured in one of the wines detailed below. Rémi now sources grapes from 25 hectares, with those not already certified being under a process of conversion to organic or biodynamic viticulture. On arrival, one might be forgiven to believing that Domaine Dieulefit was an existing winery. Located just outside the centre of Visan, it’s an elongated set of buildings, incorporating a large house and a number of annexes. In fact, the original use was as a biscuit factory, established here by the Bedouin family in the 19th Century. In the summer of 2014, Rémi and his wife, Géraldine, were busily restoring the old house with the intention of creating an auberge, whilst simultaneously installing tanks in the old biscuiterie in time for the new harvest. Whilst the transition in the range takes place, we have contented ourselves to concentrate on developing one specific range of wines introduced by Rémi under Les Pious label, with the hen and her chicks symbolising the couple’s five children. Sourced from a 2.5 hectare vineyard between Visan and La Baume-de-Transit, the Marsanne sits on the garrigue-filled plateau at the northern extreme of the southern Rhône. The vineyard is about 20 years old, and Rémi has farmed it for the past two years, moving it towards biodynamic certification. A parcel of Grenache, planted at the same site was wiped out by coulure in the spring of 2013. This 2012 vintage marks its first appearance and since the appellation doesn’t allow for mono-cépage whites, the wine has been necessarily de-classified to Vin de France status. The resulting wine is raised in cement and stainless steel tanks. It’s on the right side of oxidative, rich, powerful and concentrated with real texture. This is all from fruit sourced from within the commune of Visan. The blend is 70% Grenache and 30% Syrah, raised in cement and stainless steel tanks. The wine is certified organic. From five hectares of red clay and littered with boulders, the vines here were planted by Rémi’s great-grandfather. It’s effectively a grown-up version of the simple red version above, raised in tank and without any wood influence. The partner to the Marsanne, although not from the same vineyard site. It comes from a single vineyard in Visan planted in 1967. Contrary to the previous reds, this has a 10% barrique component, although any evidence of the wood on the wine is completely undetectable.